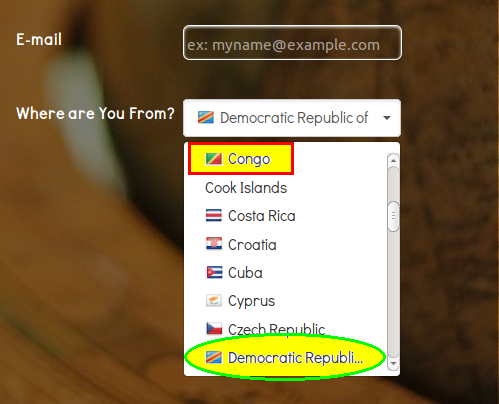 The Dropdown List Special Options Countries list only includes "Congo"
There are 2 countries with the name Congo in them, the Democratic Republic of Congo (aka DRC or Congo Kinshasa) and Republic of Congo (aka Congo Brazzaville). The countries list only says "Congo". 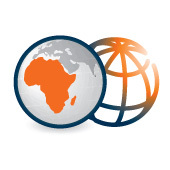 Please add the 2 Congo options. Thank you for this information. I was able to see the lacking in the Dropdown list Special options using "Countries"
I will send a report to our higher team support so they can apply the patch on this. We will notify you here once updated. 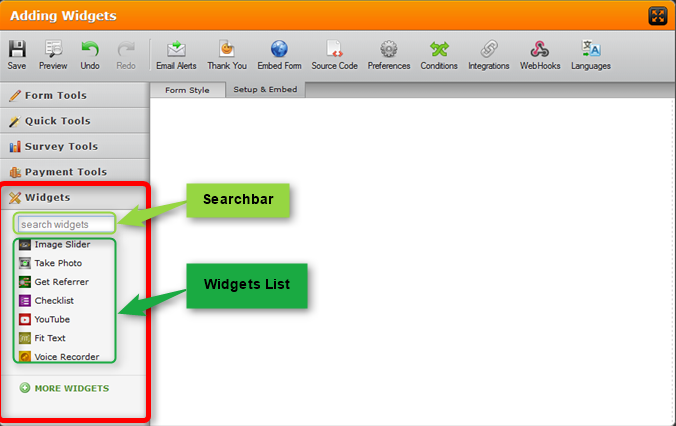 To add the widget, simply search for "country" it in the Widgets bar and you'll see around 3 widgets , choose the "country picker"
Thanks so much for the quick response. 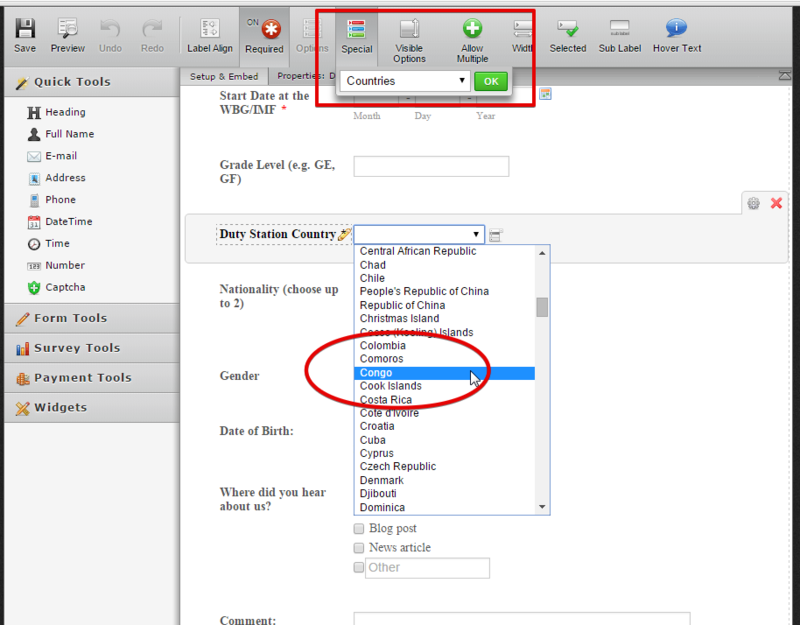 When I attempt to delete the the Dropdown list Special options using "Countries" I get the following message. Not sure that means all my data collected from previous submissions will be deleted or going forward. If you delete this question, you'll lose the associated data. Yes, if you delete a field, you lose the data on that column. So, my advise before adding the widget and deleting the old one is to download the data.